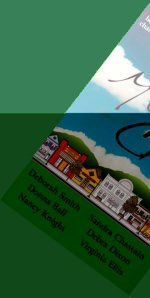 Deb's latest adventure in publishing is BelleBooks, a small press founded with six other commercial fiction writers. Between them they'd written over 200 books for New York publishers and thought it was time to follow the lead of the independent film makers by producing and controlling some of their own work. Their focus is Southern fiction. They like to think of their brand as "literary with a commercial and Southern sensibility." The first BelleBooks title, SWEET TEA AND JESUS SHOES, a collection of humorous and poignant short stories will shortly enter its third printing. Mass market paperback rights were sold to Berkley Publishing Group for their Signature Editions literary imprint which includes such authors as Kurt Vonnegut, Anne Tyler, and Alice Hoffman. The company's second title, MOSSY CREEK, an innovative collective novel, released in June, 2001, is also headed for a third printing and was picked up as a featured alternate for both the Literary Guild and Doubleday bookclubs. Mass market subrights were sold in a six-figure deal to Berkley. 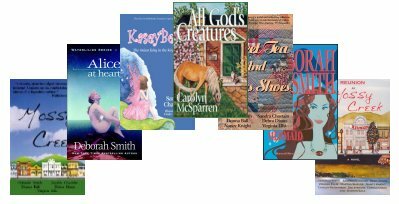 Since opening their doors, BelleBooks has become an RWA recognized publisher, released several successful titles, including their first children's book published in April, 2004 and their newest single title--ALL GOD'S CREATURES, a fabulous tale of a Southern female James Herriot. The company is delighted that their titles are stocked by country's major wholesalers and readily available either from the library, your favorite bookstore or the company website. BelleBook authors include NYT Bestsellers Sharon Sala, Sabrina Jeffries and Deborah Smith as well as previously unpublished authors. Fantasy readers will recognize the wonderful Anne Bishop who has a story in the Mossy Creek Hometown series.